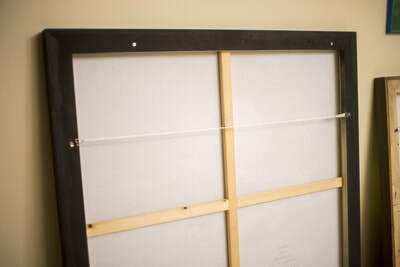 Canvas floater frames are now available with my paintings! I make these frames right in my studio! 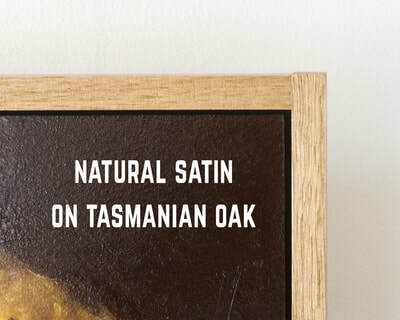 Our choices of wood are the strong, sturdy and smooth hardwoods - Meranti and Tasmanian Oak. These measure 12x42mm. 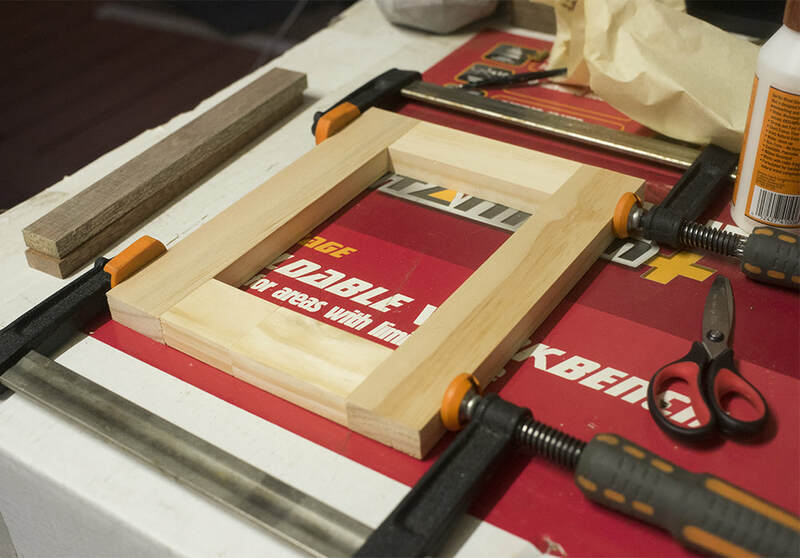 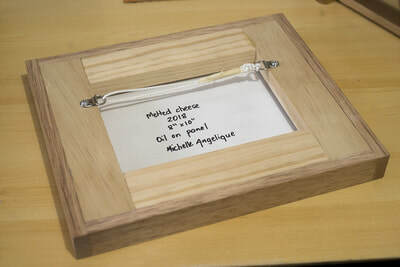 The base of the frame is made of 19x42mm Pine wood. 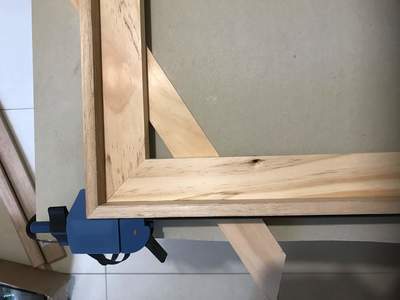 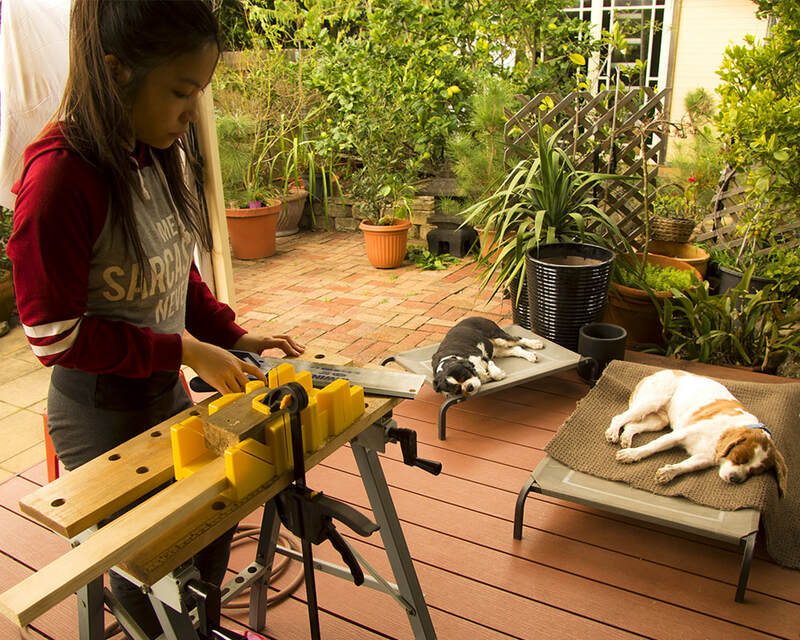 The wood is cut using a manual mitre saw and all pieces are glued together using the highest strength Gorilla Glue before being reinforced with v nails or staples at each joint. 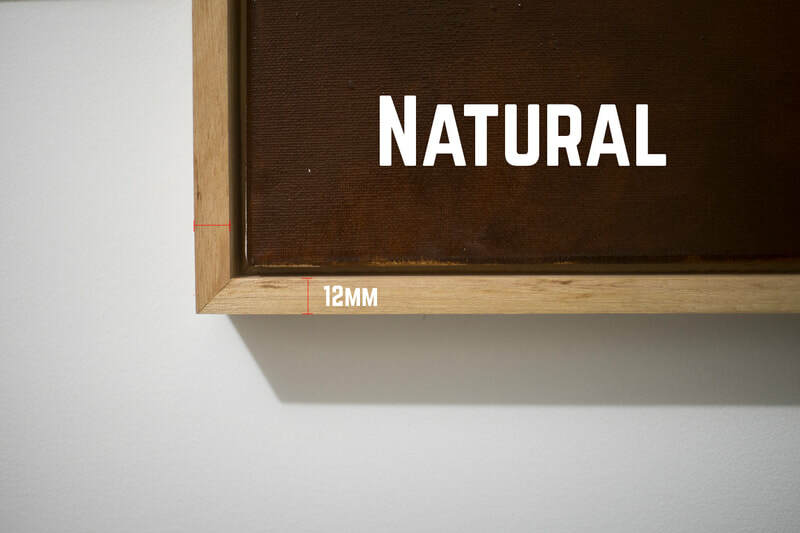 This makes for incredibly strong frames that are built to last. 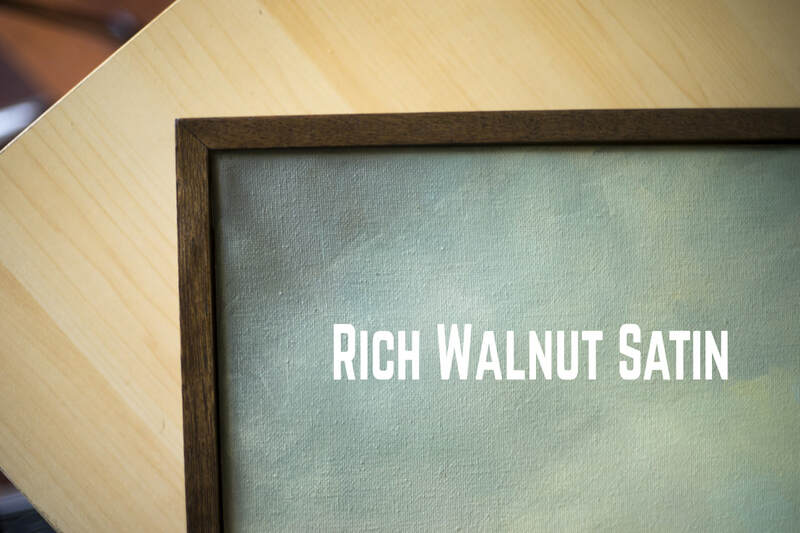 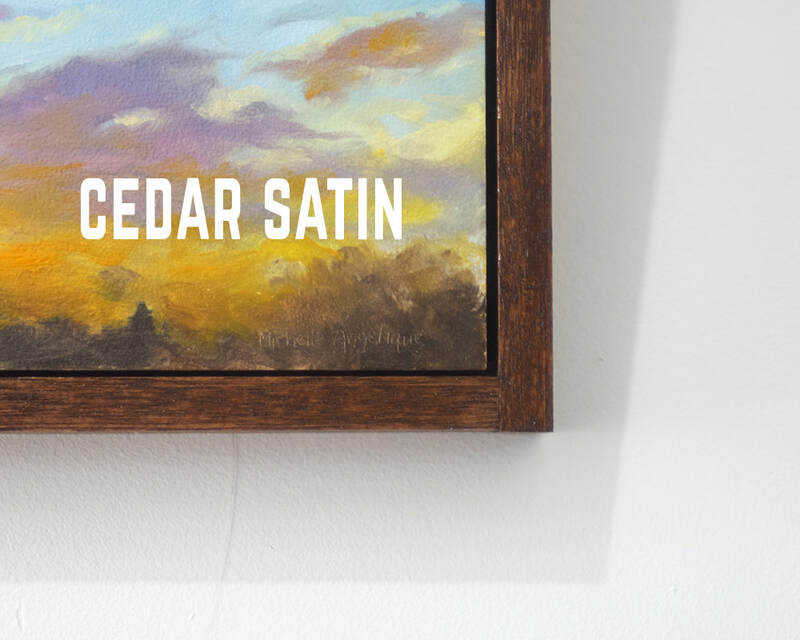 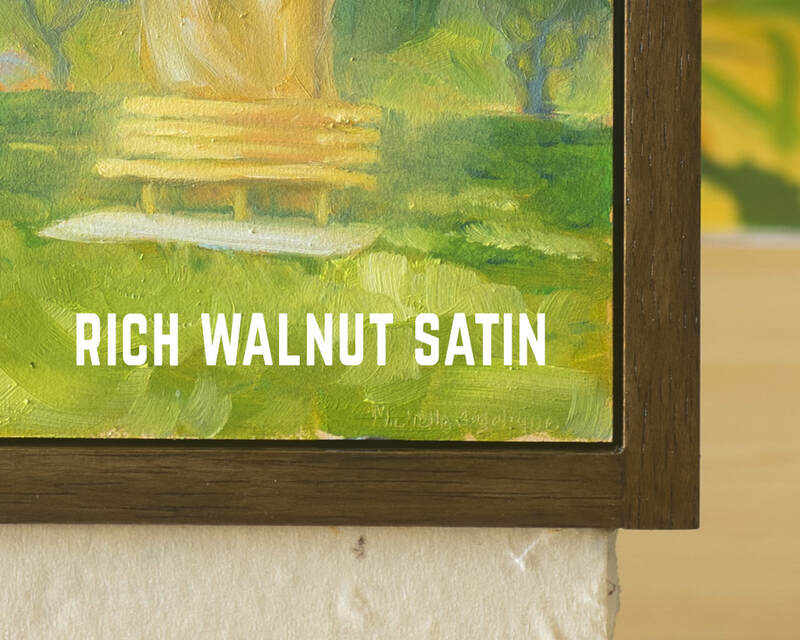 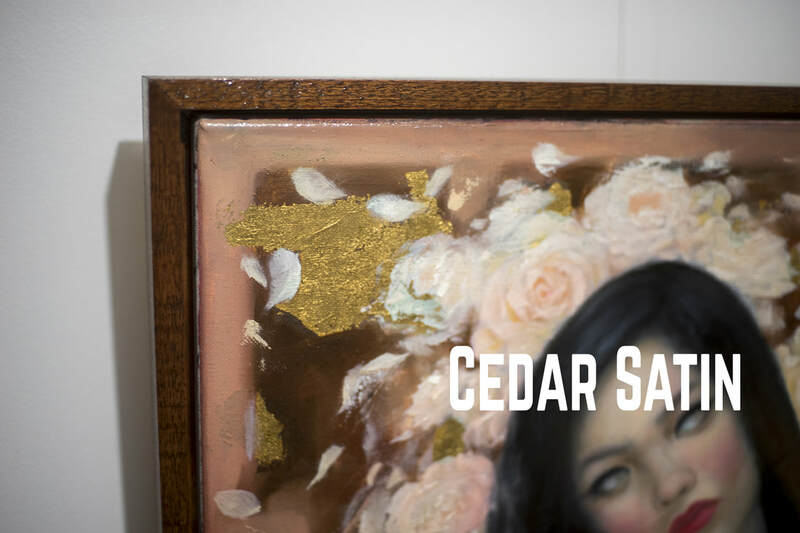 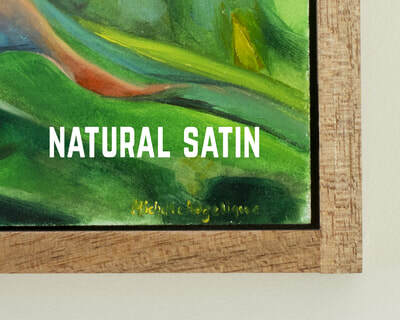 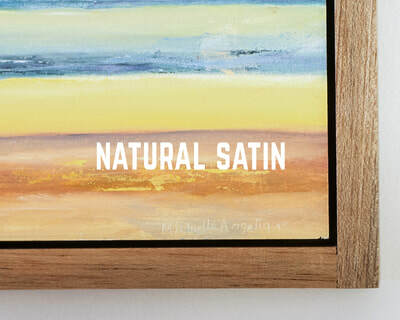 I sand down and stain/varnish each frame in either Rich Walnut Satin, Natural, Cedar Satin or Black Satin, and these are tailored specifically for each painting. 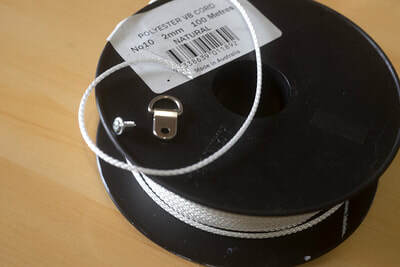 The painting is then safely secured to the frame with screws at each corner at the back before the d-rings and hanging cord are attached. 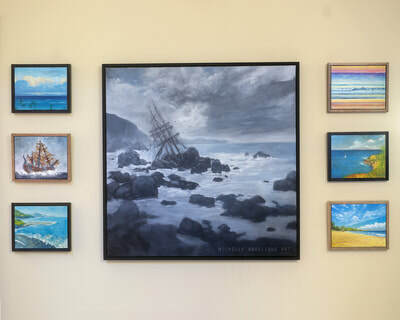 ​I am excited to be able to offer finished frames with my paintings, as these give a professional and polished look! This is also a more economical and convenient choice for the buyer, as framing companies do charge a large amount to make each frame. 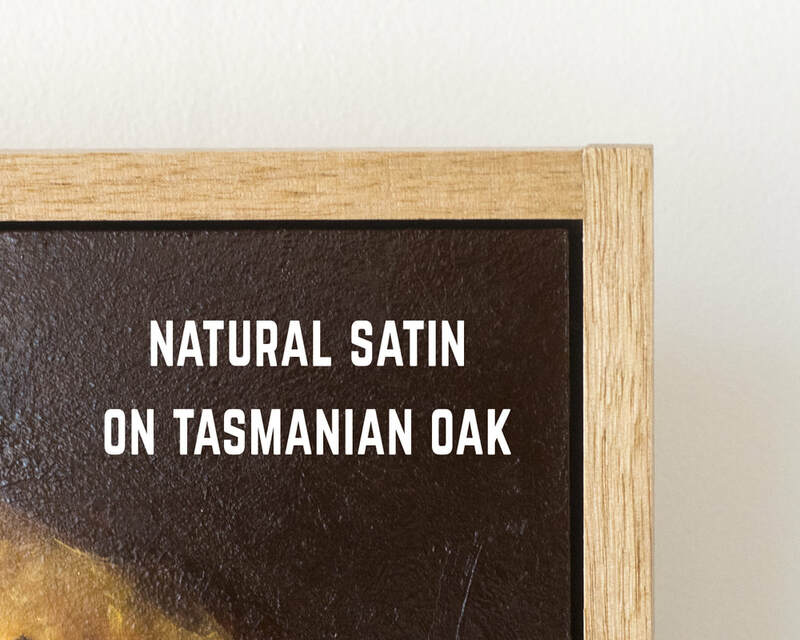 For my smaller paintings on panel, the Meranti and Tasmanian Oak measure 12x30mm. 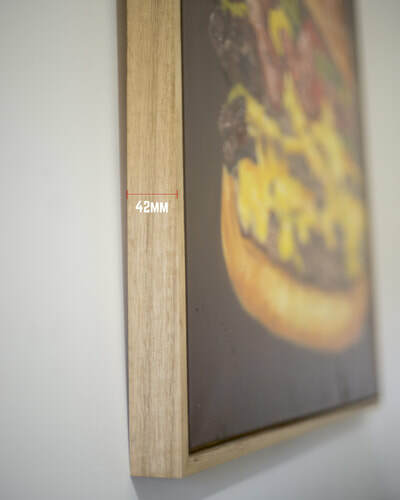 Meranti wood ranges from yellowish to reddish and also varies in wood grain. Therefore, each frame is unique yet still similar to one another. 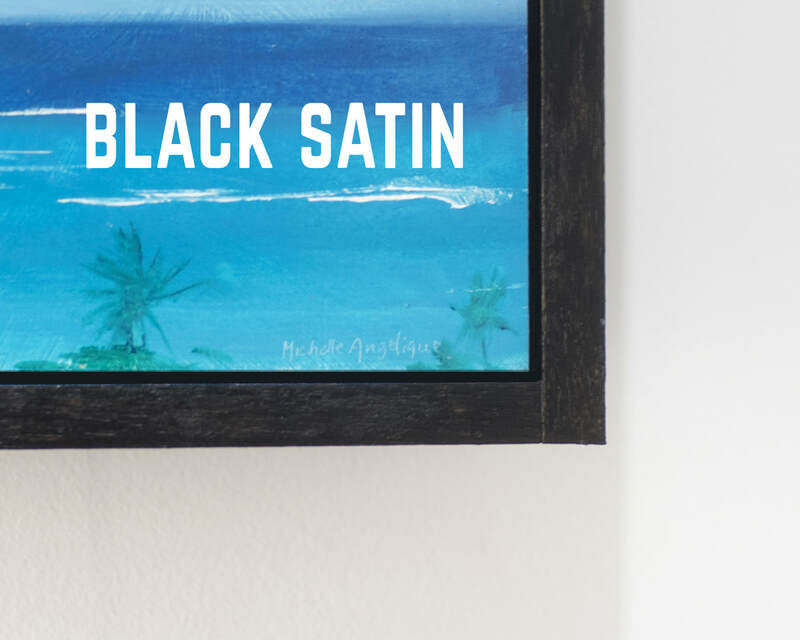 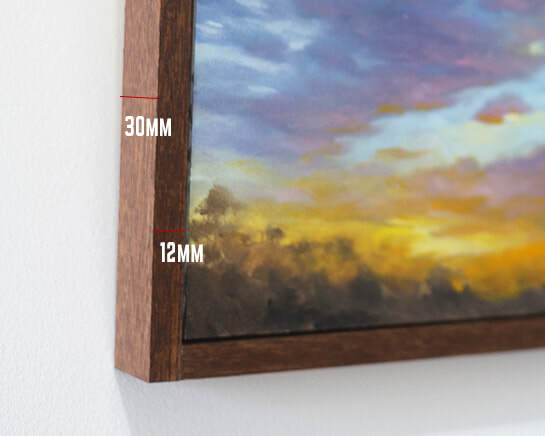 The base of the frame is also made of 19x42mm Pine wood and painted black around the edges. 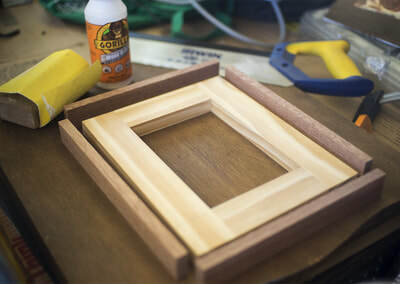 I use straight cuts instead of angled cuts and all pieces are glued together using the highest strength Gorilla Glue. 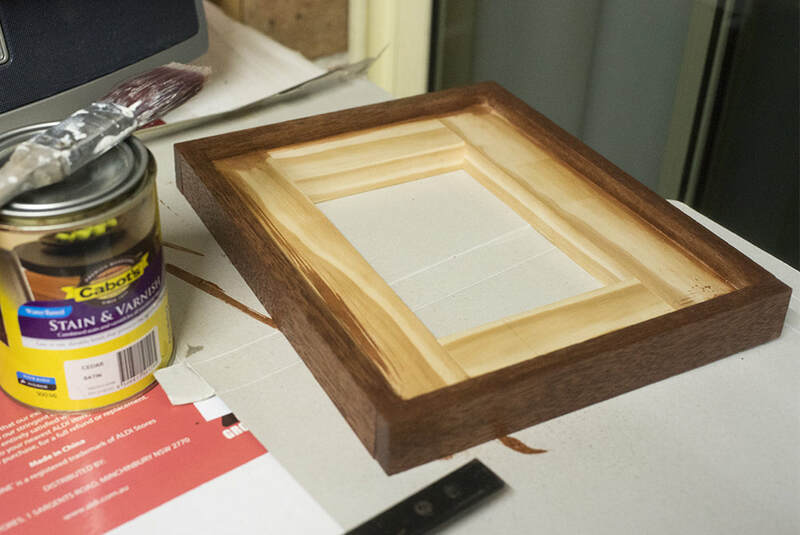 I sand down and stain/varnish each frame in either Rich Walnut Satin, Natural Satin, Cedar Satin or Black Satin. 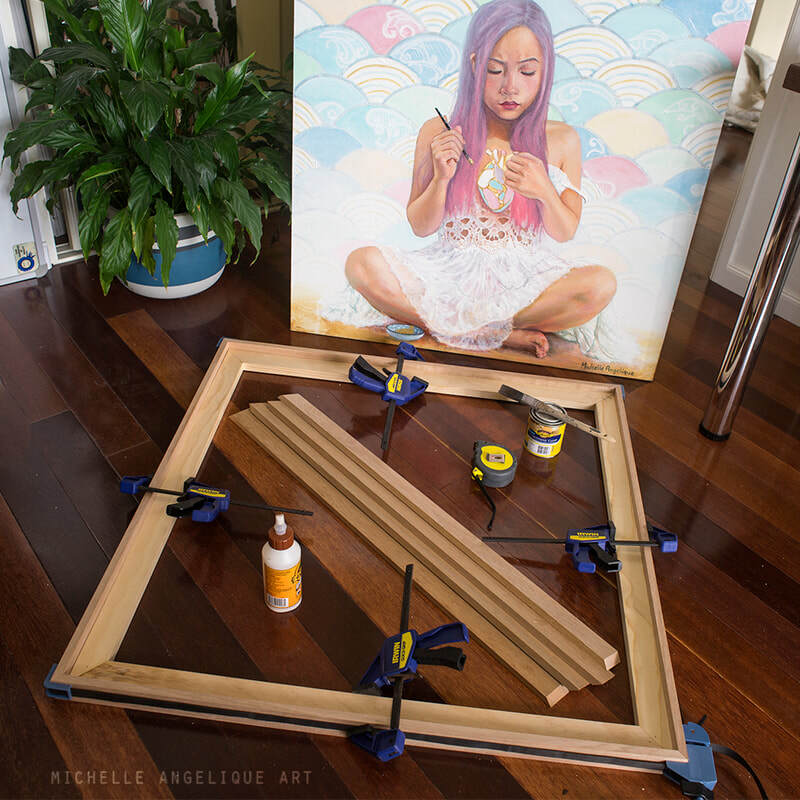 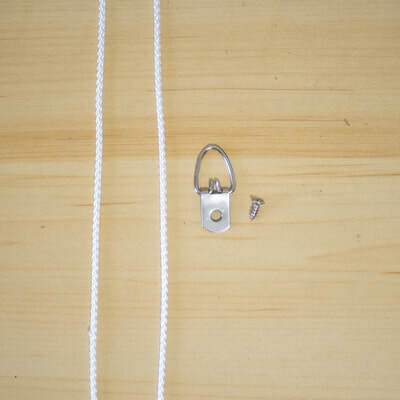 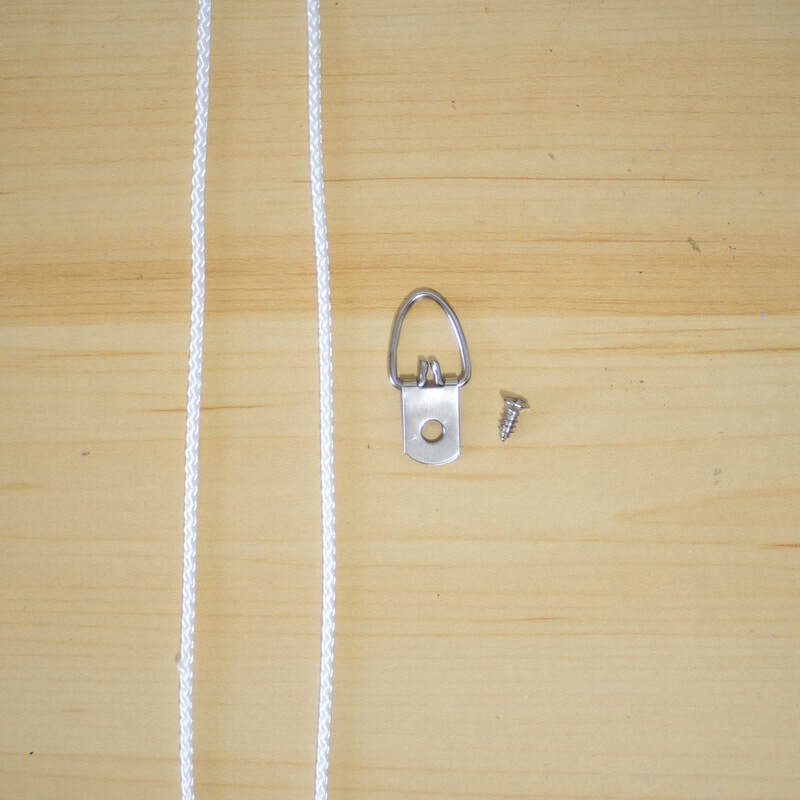 The painting is then safely glued to the frame before the d-rings and hanging cord are attached. Each frame has a 2-3mm gap around the painting. 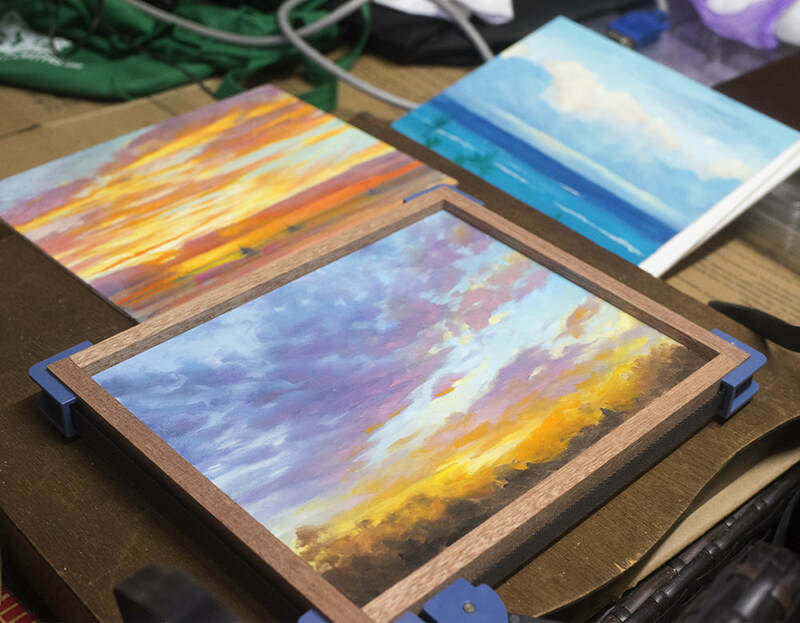 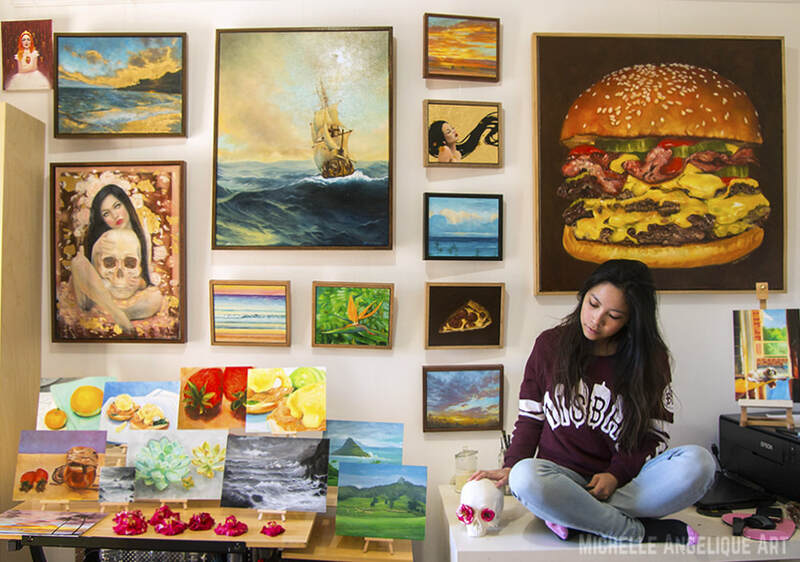 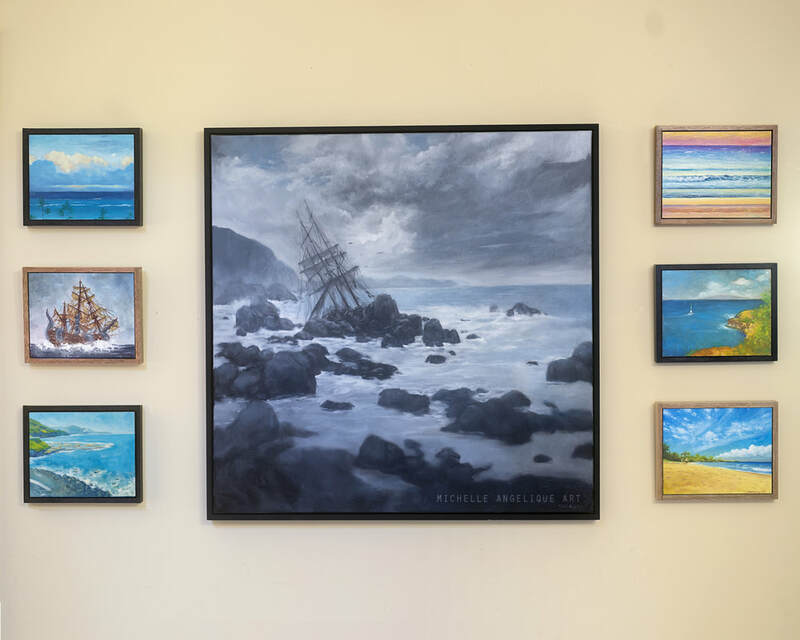 All original paintings have d-rings and cord attached to the back of each frame or canvas. 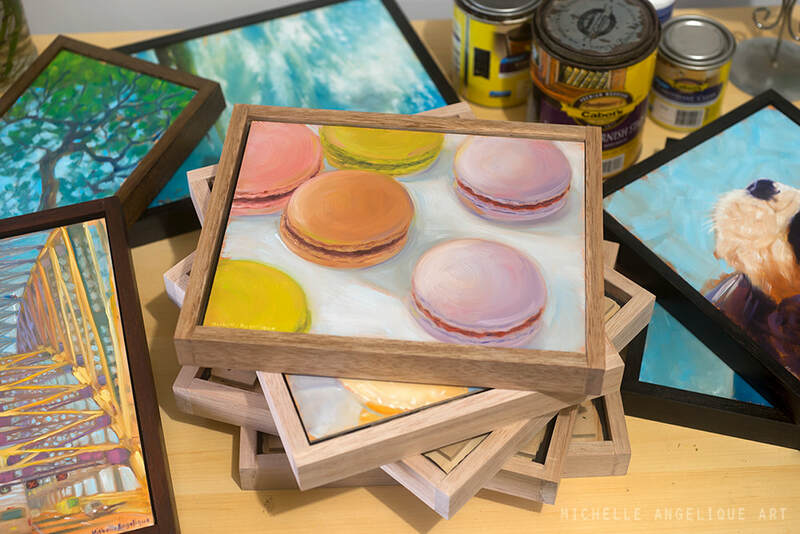 They are all ready to hang. 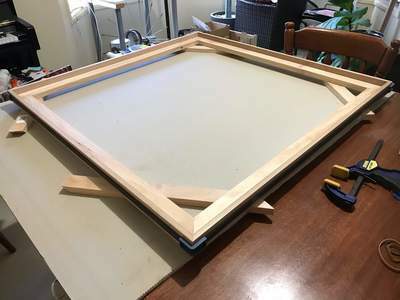 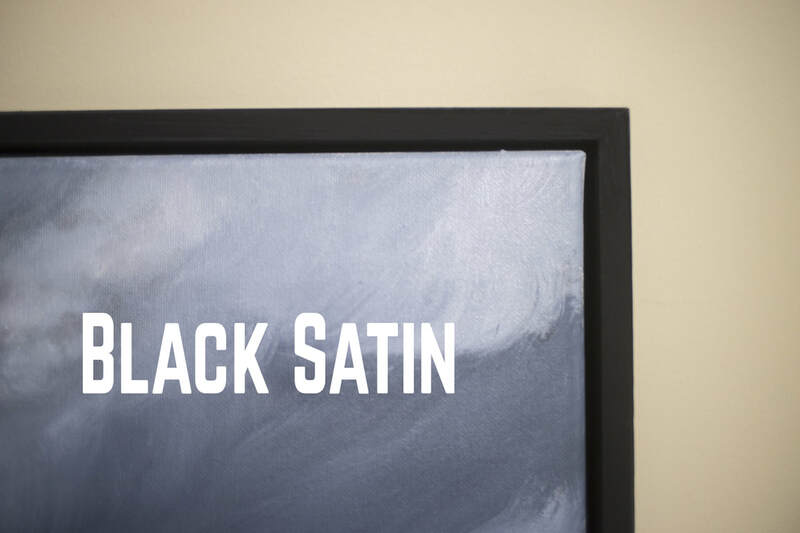 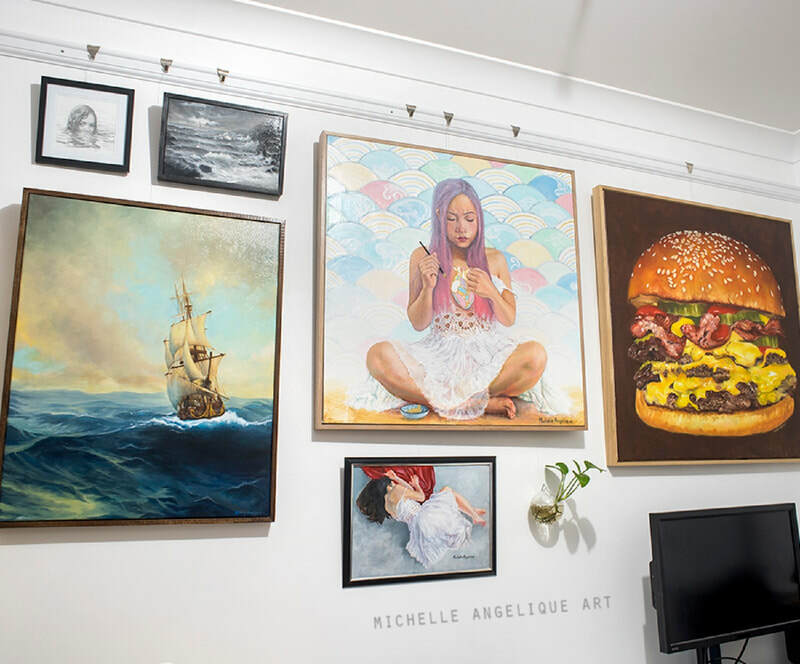 Large or framed paintings: Uses professional picture framing 2mm plaited polyester cord and 30x15mm d-rings with an approximate weight load of 8kg.